Vancouver is a coastal city located in the Lower Mainland of the province British Columbia in Canada. It is the largest metropolitan centre in western Canada and third largest in Canada. The city's population is 578,041 and its Census Metropolitan Area exceeds 2.1 million people. Vancouver is one of the cities of the Greater Vancouver Regional District (GVRD) and of the larger geographic region commonly known as the Lower Mainland of BC. Vancouver was the host city for the 2010 Winter Olympics. Vancouver is surrounded by ocean on three sides, with the Coast Mountain Range alongside it. Vancouver has a bustling metropolitan core, fantastic scenery and one of the mildest climates in Canada. Vancouver has over 190 parks and an up to date transportation system including water taxis. Whistler is only a leisurely two and a half hour drive from Vancouver. Whistler Village co-hosted the 2010 Winter Olympics. 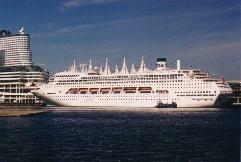 From the Vancouver Cruise Ship Terminal to Stanley Park , your experience in Vancouver will be an enjoyable one.